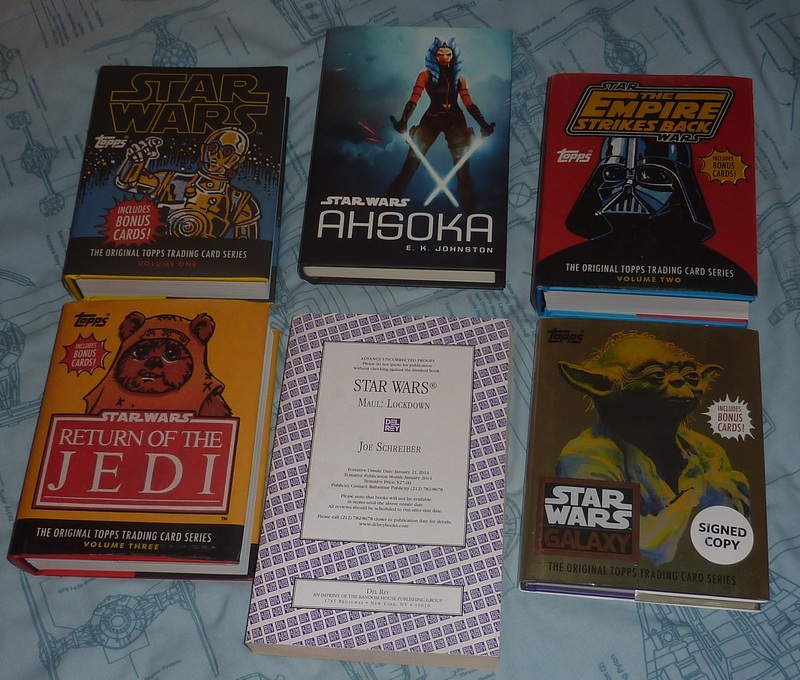 Force Friday book giveaway winners announced! Stay tuned for some more awesome book giveaways! It’s Force Friday but our countdown giveaways are still going! Thanks to our friends at Del Rey, we’re giving away a hardcover copy of Christie Golden’s Battlefront II: Inferno Squad. Set right after Rogue One and A New Hope, the Empire wants justice for the Death Star, and they assemble Inferno Squad to get it for them. Learn more about the Empire’s best in my interview with Golden at the official site. Want to win? Simply leave a message in the comments with your favorite ship of this post by the deadline of 11:59 pm EDT on September 3, 2017, and we’ll announce a random winner the following week. Only one entry per person, so choose wisely. We can ship the book to a winner in the US or I can deliver it to you in person at Salt Lake Comic Con (Sept. 21-23, 2017) or at the Rancho Obi-Wan gala in November. Continuing that count down to Force Friday with two more book giveaways! Thanks to our friends at Insight Editions, we’re giving away two books each to a random winner: Rogue One: AT-ACT Deluxe Book and 3D Wood Model (guidebook by Michael Kogge) and Rogue One: Death Star Deluxe Book and 3D Wood Model (guidebook by Ryder Windham). Both of these sets make for awesome reference books as well as really cool wood models to assemble. Want more info about these cool books? Check out the double-header interview I did with both authors back in July on the official site. Want to win? Simply leave a message in the comments with the name of the IncrediBuilds book you’d like to win (AT-ACT or DEATH STAR) of this post by the deadline of 11:59 pm EDT on September 3, 2017, and we’ll announce a random winner the following week. Only one entry per person, so choose wisely. 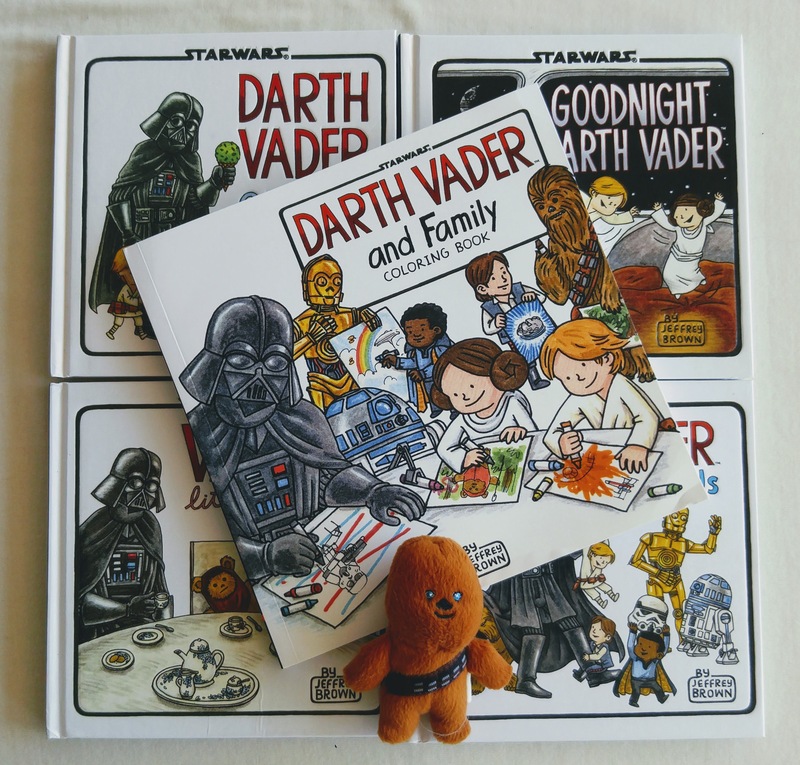 We can ship the book to a winner in the US or I can deliver it to you in person at Salt Lake Comic Con (Sept. 21-23, 2017) or at the Rancho Obi-Wan gala in November. Time to count down to Force Friday with a few book giveaways! Before you head out to the bookstores this Friday, you can get your hands on some cool books from Club Jade! 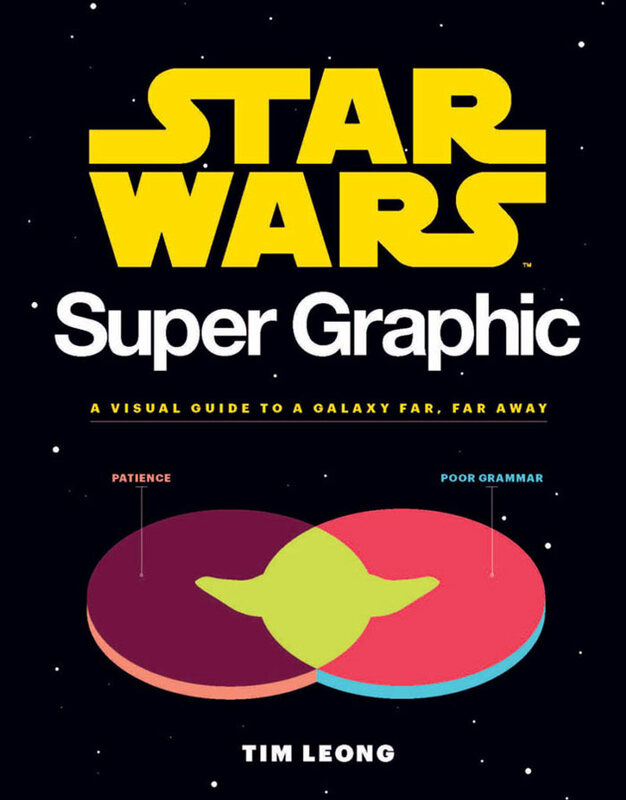 Today we are starting the giveaway for a copy of Star Wars Super Graphic by Tim Leong. Thanks to our friends at Chronicle Books, we’re giving away one copy to a random winner. I totally loved this book of awesome Star Wars infographics, which came out in late July – you can check out my interview with creator Tim Leong over at the official site. Want to win? Simply leave a message in the comments of this post with the name of your favorite droid by the deadline of 11:59 pm EDT on September 3, 2017, and we’ll announce a random winner the following week. We can ship the book to a winner in the US or I can deliver it to you in person at Salt Lake Comic Con (Sept. 21-23, 2017) or at the Rancho Obi-Wan gala in November. Last week, for Star Wars Day, we had a prize drawing for the Star Wars Notebook Collection, a set of three sweet notebooks featuring classic A New Hope artwork on the covers, graciously given to us from the good folks at Chronicle Books. The winner of our contest, randomly selected from the entries, is John Markham. He will be getting the notebook collection, released earlier this year to commemorate the 40th anniversary of Star Wars! Thanks to our friends at Chronicle Books and watch for more prize drawings! Win a Star Wars notebook collection! Since Star Wars Day is coming up later this week, let’s kick May off with a contest! Chronicle Books recently released a Star Wars Notebook Collection to celebrate the 40th anniversary of A New Hope. This three-pack of blank lined notebooks features iconic ANH artwork on the front, back, and inside covers, as well as spot quotations throughout the notebooks. Each notebook has about 60 pages, and is 6 x 8.5 in. Perfect for keeping a journal while you’re waiting for some escaped droids to show up and start you on your hero’s journey. Thanks to our friends at Chronicle Books, we’re giving away one three-notebook set to a random winner! Want to win? Simply leave a message in the comments of this post by the deadline of 11:59 pm EDT on May 5, 2017, and we’ll announce a random winner on May 7. We can ship the book to a winner in the U.S. or deliver it to you in person if you’ll be attending Origins Game Fair in Columbus in June or San Diego Comic-Con in July.